1. Don’t duplicate your resume. They should complement each other. The LinkedIn profile reinforces your brand,showcases unique attributes, and conveys personality. The resume presents accomplishments and relevant contributions to a targeted audience. 2. You NEED a good headshot photo, whether it’s done by a professional photographer or not, you need to look professional in it. 3. Security and Privacy: if you are currently employed, be aware of your security settings to avoid alerting their employer and others. Go to: Settings/Privacy Controls/Click on “Turn on/off activity broadcasts.. Un-check the box that says “Let people know when you change your profile, make recommendations, or follow companies.”SAVE. Also click on “Select Who Can See Your Activity Feed.”Find “Your activity feed displays actions you’ve performed on LinkedIn.” Set to “Only You.” SAVE. 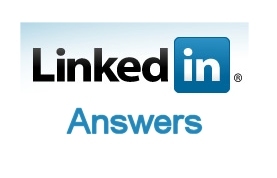 Want more help with LinkedIn? LI Profile Writing is one of the job search assistance services I offer. Check out more details on the Job Search Journey Services page!